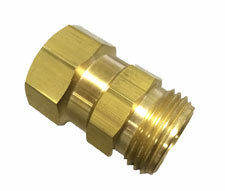 Dramm's Brass Hose Swivel uncomplicates it. 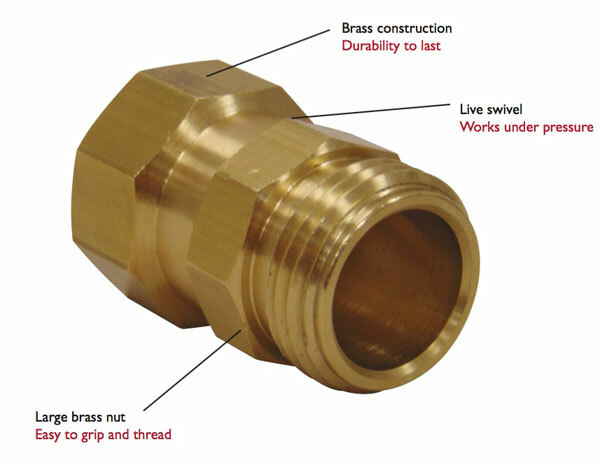 Our heavy-duty Brass Hose Swivel is a live swivel, meaning it swivels under pressure, allowing unencumbered movement between the hose and attachment. Now hose can be unwound without having to manually twist the hose. Wands can be oriented in any direction without fighting the hose. The Brass Swivel is now shipping. Contact your distributor to order and ease your hand watering. The Dramm Brass Hose Swivel allows hose attachments to move independently of the hose, freeing movement and eliminating kinks. 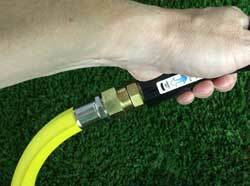 The Brass Hose Swivel makes hand watering much easier by allowing the wand to move independently of the hose.